Nokia always remained the king of camera revolution in their smartphones. Delivering extraordinary camera revolution is Nokia’s old habit, as we have Nokia N8 (12MP), Nokia 808 PureView (41MP), Nokia Lumia 920 (8.7MP) with OIS PureView, upcoming Lumia 928 (8.7MP) with Xenon & LED and Nokia Lumia EOS (41MP) with 808’s oversampling and 920’s Optical image stabilization technology. Recently Nokia has made its investments in Pelican Imaging & Camera Technologies which offer “array camera technology”. There are total of 25 (5*5 grid) small camera lenses in a pelican camera module as depicted in an image above. Such smaller size camera lenses inside Pelican Camera module will allow to capture the images and merge them together. This technology will help to capture excellent photos and will allow to focus any part of captured final image, anytime later. You can also combine different parts of images with other images and can easily change the background of your photos. This is something extra ordinary. 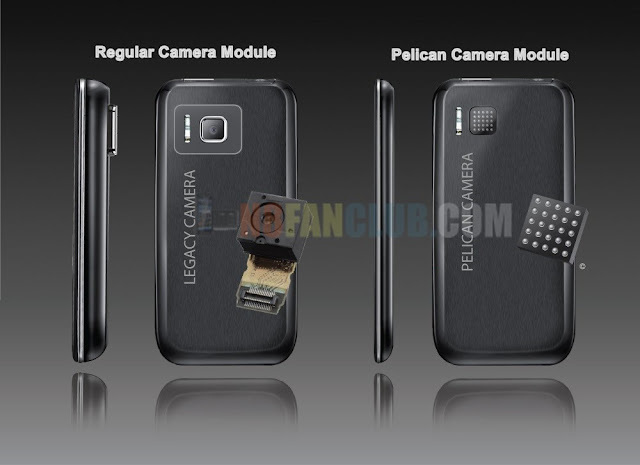 We will be able to see Nokia’s future Windows smartphones with Pelican Camera module somewhere in 2014.